As the influence of emerging technology continues to stretch toward every corner of the globe, political structures on the African continent stand ready and willing for resurgence. As reported CNN, elections on the African continent have come a long way but democracy is still in the embryonic stage. However, there are promising signs that change is afoot in the region, with record numbers of African citizens turning out to vote. Leading the charge in recent years is the historically contentious Sierra Leone— a country that had been in the grips of civil war as recent as 2002. This begs the question, what has caused the change? Voter registration has come a long way since the 2002 and 2007 elections, when an optical mark reader system— a manual system that only enabled one-off registration— was used to register voters. In those elections, voter identification cards relied on Polaroid photos and a cold laminate seal, and were understandably vulnerable to compromise. The contemporary biometric method has brought voter registration to a new level of security and usability. Allowing for the creation of a permanent electronic catalog, biometric systems are constantly updateable, seamlessly accounting for new voters as well as those that pass away. 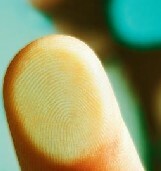 Because the captured biometric data is unique to each individual, repeat registration can be easily and effectively prevented by simply matching fingerprints. The system in Sierra Leone is convenient for voters as well, as there is no need to re-register even if the voter moves to another electoral district. The use of biometrics in electoral processes is a trending phenomenon on a continent that is widely considered to be behind the technological 8-ball. 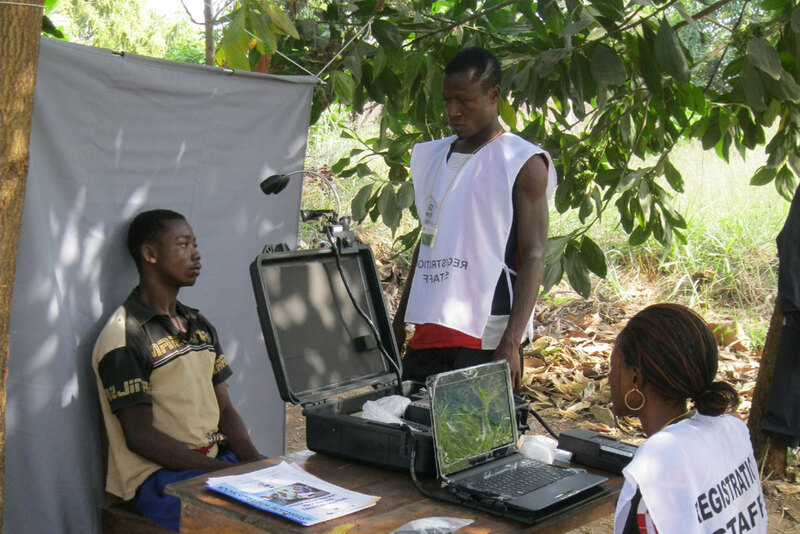 In 2005, the Democratic Republic of Congo (DRC) used biometric technology in its own electoral efforts, registering in excess of 25 million voters. Other biometric initiatives have popped up in Nigeria and Ghana where some 65 million voters were logged using facial and fingerprint data and an additional 12 million using other biometric methods respectively. Other African countries using biometrics to aid in electoral efforts include Mozambique, Zambia, Malawi, Rwanda, Senegal and Somaliland. Kenya will be the latest in the line of African countries to employ the use of biometrics as the country prepares for its next election in March 2013. As with any initiative involving emerging or advanced technology, the burden often falls to the method of deployment. Biometric technology itself is not the magic bullet; a well-planned and executed deployment method will ultimately yield the desired result. Proper personnel training is crucial to biometric-enabled initiatives as photo and fingerprint capture methods are useless if they do not meet certain quality requirements. Of equal consideration for African countries with tight budgets, is the total cost of deployment. The Democratic Republic of Congo’s biometric-enabled effort cost the country in excess of $58 million — a price that some argue did not justify the means. As part of the bigger picture, critics maintain that biometric technology only remedies the symptoms of voter fraud, not its root causes. Voter fraud on the African continent has not been a result of technological error, rather is has been human error and corruption that has long beleaguered the voting process. So long as weak electoral management, ballot stuffing and poll manipulation continues, the use of biometrics and its subsequent registration accuracy will remain a moot point. Biometric technology is not the complete answer to fair and accurate elections on the African continent, but it is certainly a valuable tool that will aid in the fight for true democracy. See the full CNN.com article here. For additional information about voting initiatives on the African continent, visit the Africa Research Institute’s website.